Valley chefs and restaurateurs are uniting for an event that celebrates the most important meal of the day: breakfast. The second annual Arizona Breakfast Weekend hits eateries July 28-31. Diners will enjoy special dishes at breakfast and brunch spots offered at $7, $10 and $15 price points. Confirmed restaurants so far include: Wildflower Bread Company, Rusconi’s American Kitchen, Original Breakfast House and The Market Restaurant + Bar by Jennifer’s. Over 40 restaurants participated last year, and it is anticipated that the number will increase to over 50 this year. A full list of participating restaurants and menus will be available in late June/early July at www.arizonabreakfastweekend.com. The brainchild of and produced by Arizona Restaurant Association, Arizona Breakfast Weekend offers lovers of all things egg, bacon, toast the chance to dine on special breakfast dishes and brunch experiences at restaurants, diners, and hotels around the Valley of the Sun. Chefs will have the chance to curate new recipes and to wow breakfast lovers by elevating and celebrating the morning meal. Breakfast Weekend will feature three dining price points ($7, $10 or $15) and each restaurant that participates will offer a signature dish or combination that corresponds with the price point. Some restaurants may choose to offer a “breakfast for dinner” option, diners should check website for full details. “Our inaugural Arizona Breakfast Weekend was a huge hit, and we know this year will be even tastier,” said ARA president and CEO, Steve Chucri. “It gives restaurants the opportunity to expand or even break into breakfast and brunch menus. 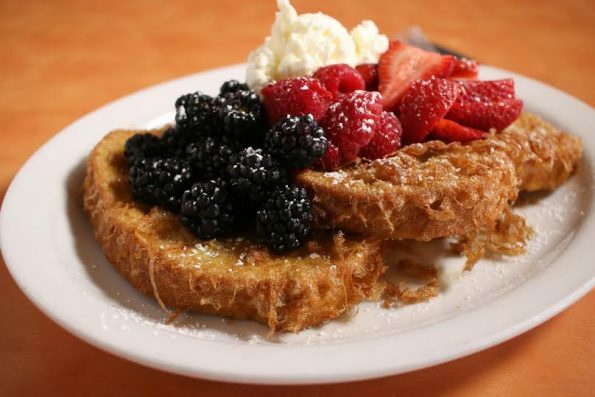 If this is your first Arizona Breakfast Weekend experience, you can expect to experience the same culinary diversity, excellence and innovation for which Arizona Restaurant Week is known but with the added benefit of starting off the day with us,” Chucri added. Don’t miss a pancake: check out ArizonaBreakfastWeek.com or Facebook.com/AZBreakfastweek.com for frequent updates. About Breakfast Weekend: Introduced in Summer 2015, the annual Arizona Breakfast Weekend is designed to highlight the most important meal of the day by elevating breakfast and brunch options around the Valley. Restaurants will offer unique breakfast dishes and brunch experiences at varying prices for all four tasty mornings. More information is available at www.arizonabreakfastweekend.com. Arizona Breakfast Weekend is produced by the Arizona Restaurant Association.